You could win $10,000 for as little as $1 and help make a difference for our students! Participate in our Scholarship Raffle today. 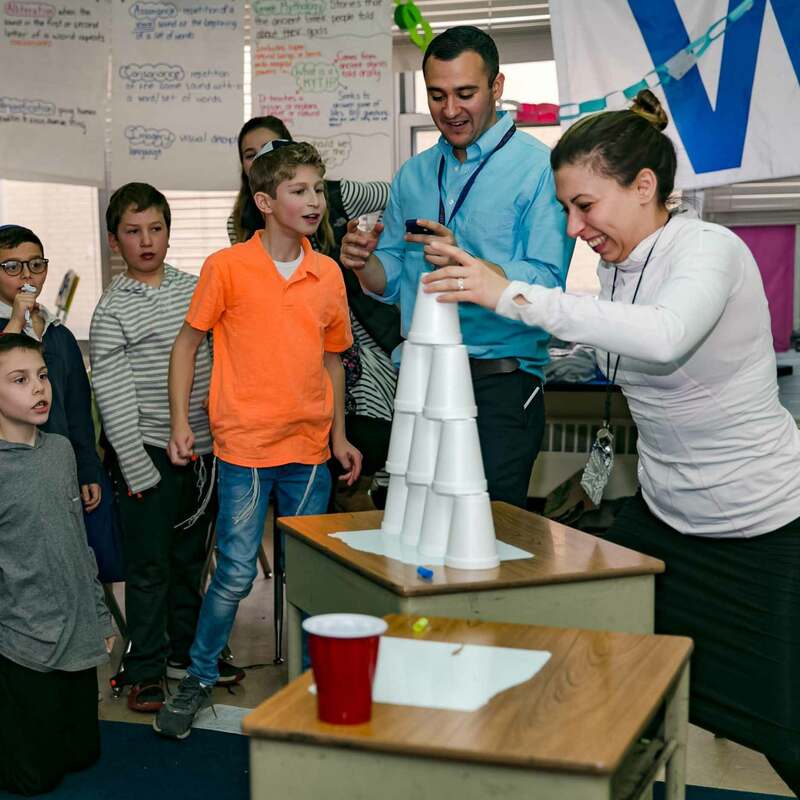 Northwestern University's Center for Talent Development has partnered with us to review our STEM programming, offer afterschool advanced enrichment programs and help subsidize Sunday enrichment courses. See more info here! Who said school can't be fun and games? Every year our Middle Schoolers can't wait for Maccabia, our educational take on Color War. Our leading Judaic program is anchored in our nationally recognized Ivrit b'Ivrit program taught by our staff of Israeli morim shlichim and bnot sherut. Yes, it's true! We have partnered with the Museum of Science and Industry to raise the bar for science education for all our students. Founded in 1962, Hillel Torah continues to be a leader in progressive Modern Orthodox education, serving the greater Chicagoland Jewish community. We provide an excellent and equally rigorous general and Judaic education within a child-centered approach where children are engaged in learning, exploration, creativity, collaboration and critical thinking. Our leading Judaic program is anchored in our nationally recognized Ivrit b’Ivrit (Hebrew language immersion) program taught by our staff of Israeli morim shlichim and bnot sherut who bring an authentic taste of Torat Yisrael, Hebrew language and culture to our students and families. Have a meaningful Pesach! School resumes Monday, April 29, 2019. Welcome back! Get ready for the last stretch of 2018-2019! We invite you to join us on Yom Hashoah as our 5th graders lead our Middle School remembrance ceremony at 9:15 am at HT. In honor of Rosh Chodesh Iyar, please wear blue and white to school. Family and community are an integral part of the Hillel Torah experience. You will find that we are a warm and welcoming community. Our students and teachers are happy and eager to engage together in a dynamic learning environment. Our parent ambassadors are excited to welcome you and share their experiences with you. At Hillel Torah, children are at the center of everything we do. Our cutting-edge, progressive educational program is designed to engage children in learning, exploration, creativity, collaboration and critical thinking in all subjects at all ages. We recognize that learning can only take place in a healthy social and emotional atmosphere and we prioritize the value of creative classroom communities where children feel a sense of belonging and safety. I feel like at HT there is a chance to be a big fish in a smaller pond. I can see and feel the difference I make in each child’s life. I am recognized by my colleagues, administrators, and families for my hard work. Coming to Hillel Torah from outside the community, I wasn’t sure where I’d fit in. Every single staff member, administrator and family made me feel as part of the community as anyone. They all make you feel loved, appreciated, and welcome no matter what the situation. I love seeing my coworkers, I enjoy working for the administration, and I take pride in each and every child in this school. It’s a special place, to say the least.